You'll have access to four party zones (none of which're Discovery, unfortunately), a premium open bar for almost six hours, and buffet stations. 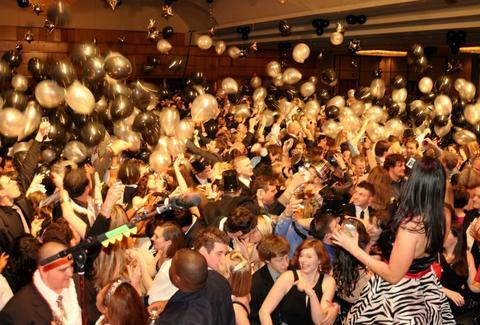 And at midnight: Atlanta's largest hotel balloon drop. Did you hear that? ATLANTA'S LARGEST HOTEL BALLOON DROP!! !